Six years ago, during that fateful summer of 2008 when everything began to unravel, we first raised issues of financial terrorism as a risk to the stock markets, our economy, and indeed our way of life. In hindsight, it should be obvious that an attack on our markets does indeed have the potential to attack the very heart of America. Our initial research, later confirmed in a formal Pentagon report, served as the basis for the 2012 bestseller, Secret Weapon; How Economic Terrorism Brought Down the U.S. Stock Market and Why It Could Happen Again. Overall, we documented a variety of vulnerabilities that could be exploited through hidden market activity, cyber-manipulations, and other subversive efforts. As with any new concept, there was a considerable amount of skepticism. Since then, however, virtually every concept we described has been documented or validated. Mr. Freeman, the financial security specialist, took issue with the report. He said that former Treasury Secretary Henry Paulson revealed in a 2010 book that Russia dumped American bonds in 2008 and urged the Chinese to do the same. “The Chinese did not at that time but this does not mean they won’t,” Mr. Freeman said in an email. Obviously, in light of recent headlines, the “nuclear option” of attacking the dollar is much more plausible than the government has been willing to admit. Another key area that we discussed in Secret Weapon had to do with hedge funds and the vulnerabilities they can create. The assumption has long been that because hedge funds are intelligent investors seeking to maximize profits that they were beneficial for markets and required little if any regulation. While that may or may not be true in a theoretical sense, once you apply real-world dynamics the concept becomes ludicrous. Hedge funds have been known to manipulate markets when given the chance. They have been caught breaking the rules. They can be impacted by rogue traders. And, as revealed last week, can be themselves subjected to cyber manipulation. Because hedge funds have not been subjected to the same intense regulatory scrutiny, their IT security is often less than other large financial services firms. Yet, they have an enormous ability to move markets, making them a target for hackers. Hackers disrupted high-speed trading at a large hedge fund and rerouted data that might be used to make money in rogue stock-market transactions, a security official with BAE Systems Plc (BA/)said. U.S. Representative Mike Rogers, a Michigan Republican and chairman of the House intelligence committee, said he is “very worried” about hackers stealing inside information that could be used to manipulate market trading. “We have seen nation states on our trading networks and we haven’t fully answered the question what were they going to do,” Rogers said in an interview. US hedge funds have been under stealthy attacks from cyber-criminals intent on intercepting trading strategies in order to profit from front-running and other illicit maneuvers. The just-disclosed hedge fund attack started in late 2013 with hackers sending a “spear phishing” e-mail that, once opened, installed malware onto the hedge fund’s servers, BAE Systems officials said. The spear phishing e-mails appeared related to developments in the capital markets industry. But even if the BAE disclosure was unusual in its sophistication, it was actually just one of many cases, part of a wave of largely unseen cyber-attacks targeting hedge funds over the past two years, say cyber-security experts. Clearly, this is a matter of national security and something our nation should have addressed years ago. Only now are most beginning to even recognize the seriousness of the risks involved. In addition to the threat of manipulated hedge funds, we’ve seen recent articles on dark pools and leveraged ETFs as well, both issues we raised in our 2009 report and Secret Weapon. We will cover those in a forthcoming Blog post. The point is this. 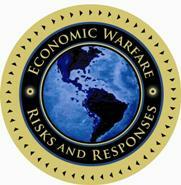 We were at risk and a financial warfare attack nearly destroyed our system in 2008. We are even more vulnerable today. It’s time that America wakes up to this looming threat and takes measures to address it. Previous post: We Survived the last Friday the 13th! But Can We Survive the Next Coronal Mass Ejection?